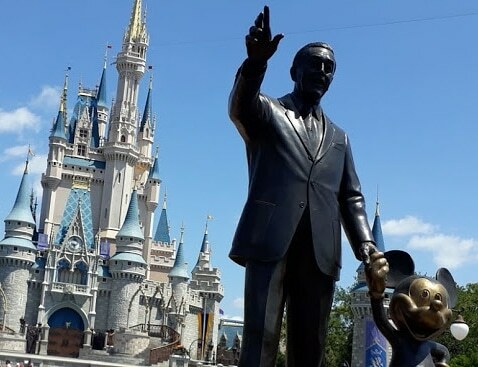 This week I review Magic Kingdom (MK) at Walt Disney World, Orlando. I review the rides, good places to eat and things to do. We are a family of three, with a 10 year old and we travelled to Magic Kingdom in April 2018. MK is actually on the second floor of the park. The first floor is filled with tunnels known as 'Utilidors'. In these Utilidors, deliveries are made, cast members access attractions and garbage is removed. 1. Disney World Railroad - A lap around the park via the train takes 20 minutes. Walking is the fastest means of transport in MK. The shortest lines for this train are at Main Street. It doesn’t take you through a Dinosaur cave though like in Anaheim and Tokyo Disneylands. It just does a loop around the park which shows a different perspective of the park. At busy times there’s a train every four minutes. It shuts down during a parade though, so don’t line up then. 2. Tomorrowland Transit Authority PeopleMover – Kind of an outdoor/indoor car ride around Tomorrowland, giving a different perspective of various rides (from the inside) including Buzz Lightyear, Space Mountain and a fantastic view of Cinderella’s castle (have your camera ready near the beginning of the ride). The ride is said to be ‘Emission-free’. The PeopleMover is an underappreciated gem. It is fast loading and the wait time is generally no more than 15 minutes. The ride goes for more than 5 minutes so is a great escape from the heat or rain and after standing in line all day this is a great way to take a leisurely ride around Tomorrowland. 3. Cinderella's Castle - Cinderella’s Castle is 57 metres high and the moat around the castle is 6 foot deep. There are 27 towers on the castle and 13 gargoyles. There are five murals in Cinderella's castle. They are made from more than 1 million pieces of Italian glass tiles in 500 colours. There are also silver and 14 carat gold pieces embedded in the murals. There is an urban myth that during a severe hurricane, the castle can be quickly dismantled, but this is untrue and the castle has been built to withstand strong winds. The Disney family originally planned a special suite for the family to enjoy, but with Walt’s death in December 1965 it became more functional as a telephone call centre, a dressing room and a dream suite hotel room for VIP guests. Cinderella's Royal Table is a restaurant currently located on the second floor of the castle. 4. If you wish to meet Mickey Mouse - head for the Towns Square Theatre on Main Street near the Train Station. He greets guests there all day. Fast Pass (FP) is available to meet him. 5. Mickey's PhilharMagic concert is where Donald Duck takes over as a conductor of an orchestra. It is air conditioned, in 3D and has seats (I mention this as not all shows in Walt Disney World are sit down shows or air conditioned). It is easy to wait for the next show and you don’t need a FP. 6. It’s a Small World ride is a Disney ‘must do’ ride for the first time visitor. It lasts for 11 minutes and is a boat ride with a catchy song and animatronic dolls from every region on Earth. It is also cooler inside the ride. 7. Night Electrical Parade – The best views are from Frontierland near Country Bears. This parade may only run a few nights per year (Christmas and Halloween). Also the best view of parades in general is from the 2nd floor of the railway station. 8. Under the Sea – Journey of the Little Mermaid – The best times to visit are before 10:30am or the last 2 hours park is open. There are three castles in Magic Kingdom – this is the second with Prince Erics Castle displayed (which is located outside the ‘Under the Sea’ ride). You don’t need a FP for this ride, although it does help. 9. Peter Pan - Use FP as this line never gets below an hour. If you do get the FP though, you skip the themed queue room which is air conditioned. The themed rooms include a walk through the Darling street home where you see family portraits, various rooms, a few games and get sprayed with pixie dust whilst in the queue! There is a hidden mickey in this picture!! 10. Winnie the Pooh – This ride was so much fun – even in the ‘pre-ride’ area there is a tonne of things for kids and adults to do. Interactive screens of runny honey for starters! As this ride replaced Mr Toads Wild Ride, there's a painting inside the ride that shows Mr Toad Passing along a deed to Owl. 11. Astro Orbitor – This ride is 1.5 minutes in duration and best to ride it at night. Flies higher and faster than Dumbo. Queues are always very long for this. 12. Tomorrowland Indy Speedway – The duration of this ride is 4.5 minutes long. Don't rush through the speedway otherwise you will just need to sit for 5 minutes in pit waiting to be unloaded. Always seemed a long wait for this ride – and the line is in the sun. 13. Enchanted Tales with Belle - Use FP. Don't miss this if you have kids as every child gets to play a part in the show. The 20 minute presentation never has a below 40 minute wait. Free bookmarks are given out at the end and there is a PhotoPass photo opportunity here with Belle and Lumiere the animated candlestick. Nearby is the ‘Be our Guest’ restaurant which is located in Beasts Castle (Magic Kingdom’s third castle). You cannot go inside Beasts Castle (unless you eat at ‘Be our Guest restaurant – and you must prebook this). You can however see the castle from afar (from Seven Dwarfs Mine train it is easily seen). The restaurant ‘Be our Guest’ generally gets rave reviews. 14. Seven Dwarfs Mine Train – Definitely use a FP although the loading time is fast getting people on the ride. The ride goes for 2 minutes. There are no loops, inversions, rolls in track, no massive hills or steep drops. Instead, this ride has new technology where each carriage ‘swings’ from left to right’ as you go around corners to make it a curvier ride. There are roller coaster elements to this ride, but they are not big drops at all. It is really fun doing this roller coaster to the soundtrack of “Hi Ho, Hi Ho, its off to work we go”. Work seemed a million miles away at that moment. In the middle of the ride, you pass through a cavern where the animatronic Seven Dwarfs are mining for gems. It is quite colourful. You zip through the cavern and then its back to the rollercoaster part again, passing the Seven Dwarfs house, before coming to a complete stop at the end. The Roller coaster is very smooth. The swinging of the mine train is more noticeable near the back of the train. If you don’t like rollercoasters – ask a Castmember for the middle section of the train. I would not miss this ride at all –it does require a Fast Pass (FP), as the lines were over an hour long all day. The magic bands also automatically take a video and photo of you on the ride – the video is wonderful and a great souvenir to watch at home. 15. Jungle Cruise - FP are necessary as the standby queue can be very long. Seats in the middle are exposed to the sun. Duration of the ride is 8-9 minutes. Travel down 4 rivers - Congo, Nile, Mekong and the Amazon. 16. Pixie Dust in Fantasy Land - The Castle Couture shop in Fantasyland has a Fairy Godmother who will sprinkle pixie dust (glitter) on you for free with her magic wand. It kind of felt special as the Fairy Godmother waved her wand at you! Definitely recommend for everyone young and old. 17. Swiss Family Robinson Treehouse -There are a lot of steps to climb at the Swiss Family Robinson Treehouse to get to the top (116 in total), but the views from the top over Walt Disney World are worth it. There are a few displays to view at the top of the treehouse. 18. Enchanted Tiki Room – Watch tropical birds and flowers come to life in a 15 minute show (not a ride). The four parrots names are: Jose, Fritz, Michael and Pierre. The roof looks like straw, but it is actually shredded aluminium! Walt Disney’s Enchanted Tiki Room first opened in 1963 at Disneyland Anaheim and was the first Audio-Animatronics show. From these birds came further developments in Animatronics – including Pirates of the Caribbean and Haunted Mansion. The Enchanted Tiki Room is great to visit during busy periods in the park, or to escape the general heat of the day (or a rainstorm). There is a scenic garden waiting area outside with a ‘pre-show’. We sat here and ate our Dole Whips (pineapple ice-creams). The tiki statues located across the walkway do squirt water at guests. Do note that there is no queue for the Enchanted Tiki room at all. Our first mistake in Anaheim was lining up for the Enchanted Tiki Room – only to discover the line was for the Dole Whips. Yes, there is a line up for Dole Whips! You can get Dole Whips and ‘Upside Down’ Pineapple cakes next door to the Enchanted Tiki room. 19. Monsters Inc is a comedy show in 3D. Quite funny especially the jokes. I was expecting a ride (Anaheim and Tokyo have a ride) but this is quite good. The jokes come from the audience in the pre-queue. 20. Carousel – There are 72 white horses and Cinderella's horse has a gold ribbon on its tail. Why White horses? Because Walt did a survey to find that everyone always wanted the the white horse first – so they were all painted white so no one leaves the park disappointed. 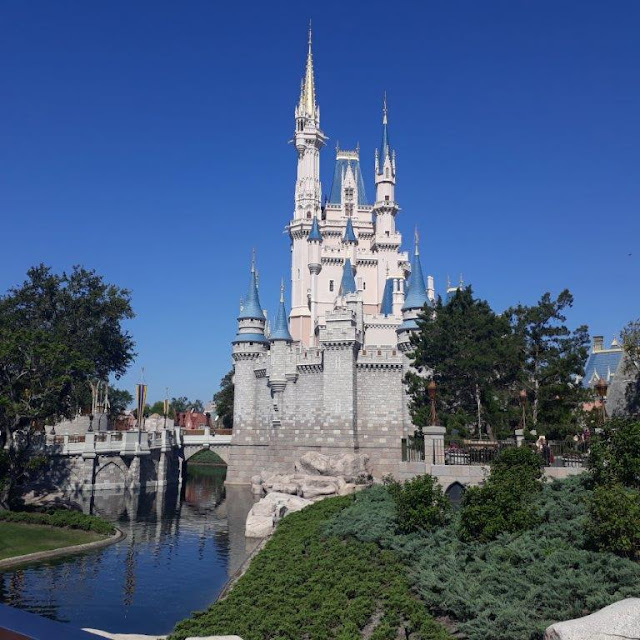 I hope you enjoyed reading my review of Magic Kingdom, Florida. I hope you can follow us. we love the magic kingdom, havent been there in a while! Thanks Evelyn for your comments. Magic Kingdom, indeed all the parks in Walt Disney World are forever changing and improving with new rides etc. Walt Disney once said that "Disneyland will never be completed. It will continue to grow as long as there is imagination left in the world". So, true - its always changing. This happens to be the most complete tour guide I have ever seen on the Majic Kingdom. Well done! Also loved browsing through your site and all the info about those parks. Thanks Keith Ashwood - there is a second part coming up in the next few weeks. I could not fit all the information about Magic Kingdom in one post - it was just too long. Hope you can keep following. Thanks Healthy Life Insight with Karin for your kind comments. These are some great tips! I havent' been to disney land in years but I'd love to go again! Thanks Eileen. All the Disney parks are wonderful and forever changing. Worth a return visit! The Electric Light Parade left the park in 2016 and there hasn't been a night time parade in the park since, except for Halloween and Xmas Parties. Thanks Anonymous for your comments. I didnt know that -I thought they were still on year round but maybe only some nights. Will adjust accordingly. Thanks Lynn, glad you liked the post. I have a 'part two' released tomorrow of this post - I couldn't simply cover all the rides of Magic Kingdom! !